Well this is exciting (and unexpected), Wooden Camera are working on a PL mount modification kit for the EVA1. Awesome! Are you considering as a replacement for your F3-type jobs? That was my thinking. Though I've just read the camera doesn't do 4k at 60fps in 10 bit 4:2:2. That could be problematic precisely for those kinds of jobs. At any rate, I don't actually think I'll need to retire the F3 anytime soon - mine's been flat out the past two months (far more so than my Arri). 4k 60 42 10 bit on hdmi only i think? Very excited about the option of going PL given that I only have PL glass. EVA1 is going to be my small body for water and movi work alongside my LT so the option to share glass is very appealing. Probably my only concern is warranty. Are we saying goodbye to it by using this mount given that it appears to involve removing the existing mount from the body? Panasonic Varicam LT, Kinemax 6k, Panasonic Lumix GH5, Panasonic Lumix GH4 & YAGH. 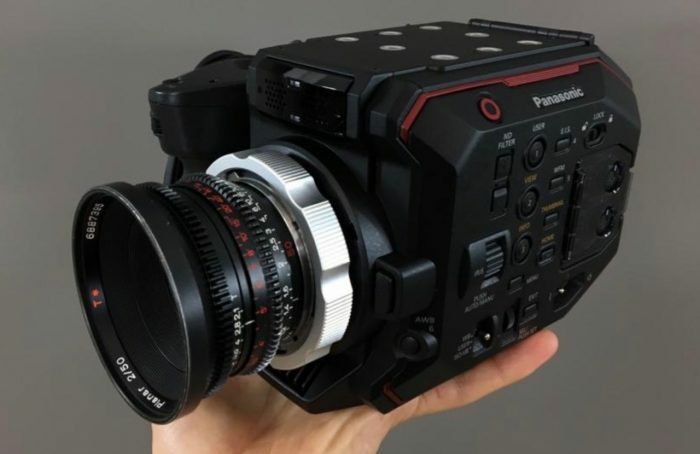 "I had a dream I could buy my way to heaven, when I awoke spent that on Anamorphic Lenses"
Panasonic is happy Wooden Camera is making this modification available to people. We like you to have choices. That said, if you take a screwdriver to your camera and mess something up installing this mount then that repair won't be under warranty. But if for some reason your SDI connector fails and you send in the camera with a PL mount attached we're not going to say "Hey there's a PL mount on this thing so we're not going to cover anything." Clearly one thing has nothing to do with the other. And if you send in a camera with a PL mount on it our service guys won't refuse to touch it, but they'll have to charge for the work. Wooden Camera will offer to install the PL mount for an additional fee. Unless you're a rental house or some other facility with a collimator and other alignment tools I suggest you take up WC on that offer. It does mean you'll have to send your camera to Texas for the work.